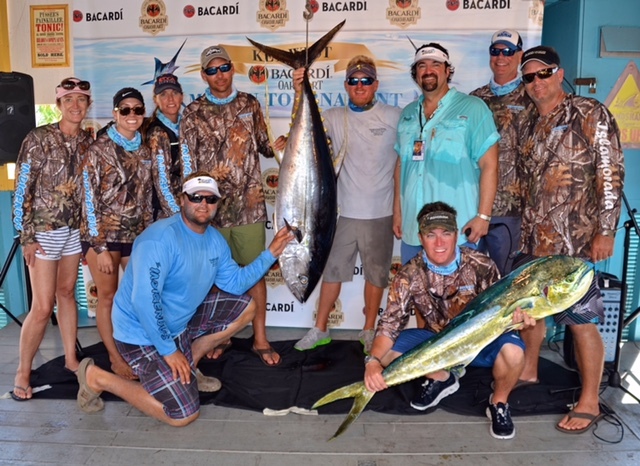 KEY WEST, Fla. – The Indigenous, skippered by Travis Dickens of Islamorada, Fla., garnered top honors and a $25,000 first-place prize at the three-fishing-day Bacardi Oakheart Key West Marlin tournament that ended Saturday, July 23, off the Florida Keys. Dickens’ team combined a blue marlin release achieved Friday, the second day of competition, by angler Mike Melhado of Indialantic, Fla, with a 110.5-pound yellowfin tuna that Kevin Schoolfield of Melbourne Beach, Fla., caught Saturday, to best 31 other boats. “We had lots of hardware, preparation and good teamwork,” Dickens said. The Key West Marlin tournament was Dickens’ first win as captain. Flying Fish Charters of Key West, with Jamie Connell at the helm, released a white marlin and sailfish for second place. Angler Jim Connell of Key West caught and released both fish. High Stakes, skippered by Jamie Jonas of Key West, finished third with a blue marlin release and a 26.5-pound dolphin, the largest mahi-mahi of the three-day tournament. Angler Bob Hansen of Fairfax, Va., caught and released the marlin, while angler Don Jonas of Key West caught the dolphin. The tournament attracted nearly 195 participants and was held in conjunction with Key West’s Hemingway Days festival, an annual tribute to angler and author Ernest Hemingway, who fished and wrote in Key West during the 1930s. 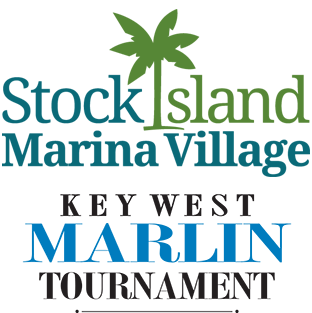 The 2017 Key West Marlin Tournament is to be held July 19-22.